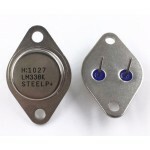 Purchase online in India LM338 5-Amp Adjustable Regulators at low price from DNA Technology, Nashik. 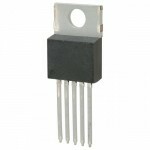 The LM338 series of adjustable 3-terminal positive voltage regulators is capable of supplying in excess of 5A over a 1.2V to 32V output range. They are exceptionally easy to use and require only 2 resistors to set the output voltage. Careful circuit design has resulted in outstanding load and line regulation comparable to many commercial power supplies. 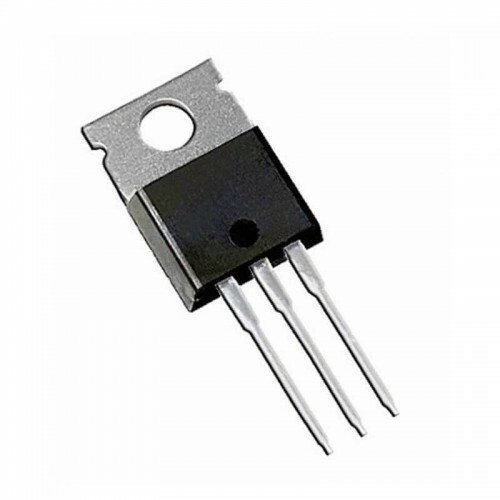 The LM338 family is supplied in a standard 3-lead transistor package A unique feature of the LM338 family is time-dependent current limiting. The current limit circuitry allows peak currents of up to 12A to be drawn from the regulator for short periods of time. This allows the LM338 adjustable voltage Regulator to be used with heavy transient loads and speeds start-up under full-load conditions. Under sustained loading conditions, the current limit decreases to a safe value protecting the regulator. 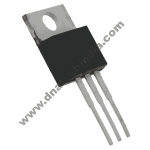 Also included on the chip are thermal overload protection and safe area protection for the power transistor. Overload protection remains functional even if the adjustment pin is accidentally disconnected. LM2575 Adjustable Voltage RegulatorThe LM2575 series of regulators are monolithic integrated circuit..
LM338 5 Ampere Adjustable Voltage RegulatorThe LM338 are adjustable 3 terminal positive voltage regu..